On Aug. 2, 1978 the Waldbaum’s supermarket on Avenue Y and Ocean Avenue in Brooklyn succumbed to the flames of a raging fire. Nearly 20 firefighters were on the roof of the supermarket when it gave way, dropping 12 members into the flames. 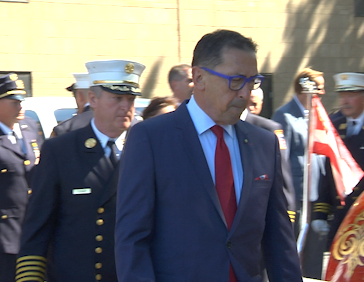 Six were rescued, but another six members died in the tragedy: Lieutenant James Cutillo, 33rd Battalion, and firefighters Harold Hastings, 42 Battalion; James McManus, Ladder 153; George Rice, Ladder 153; Charles Bouton Ladder 156; and William O’Connor, Ladder 156. 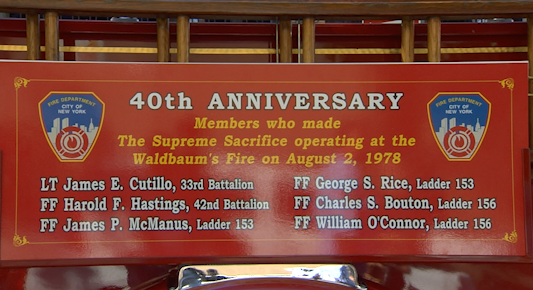 The 40th anniversary of the Waldbaum’s Fire was commemorated last week at St. Brendan’s Church in Midwood. 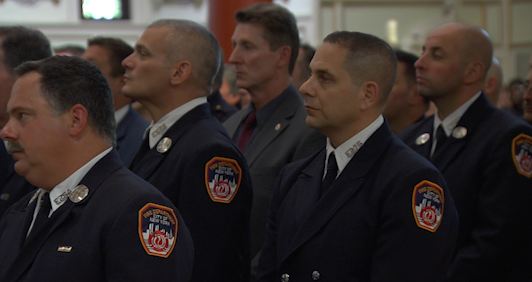 Family and friends still gather to remember the six firefighters who died in the infamous Brooklyn fire, including Brian Hastings and Caroline McManus Hastings, two of the 18 children that were left fatherless on that tragic day. Brian and Caroline met at a Christmas party the FDNY organized for the children of the fallen firefighters the year of the fire. They fell in love and 40 years later, they are married with two kids of their own, Kaitlyn and Patrick. Msgr. John Delendick, NYC Fire Dept. chaplain was there to make sure the fallen men are never forgotten. 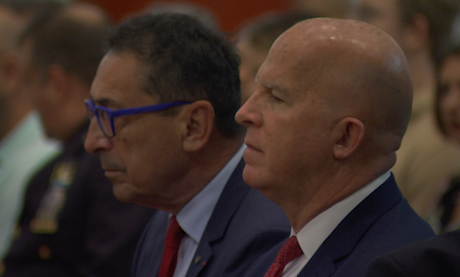 “These were men that made the ultimate sacrifice and we do our best to remember them. They gave their lives to protect this city. Even after so many years they are not forgotten. “Some of their friends and loved ones may not still be with us but we continue the memory for them. 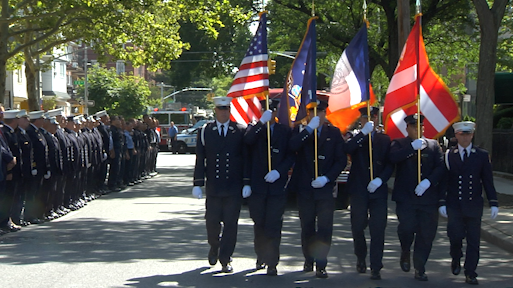 The FDNY is a family and will always stick together and protect one another,” the monsignor said. 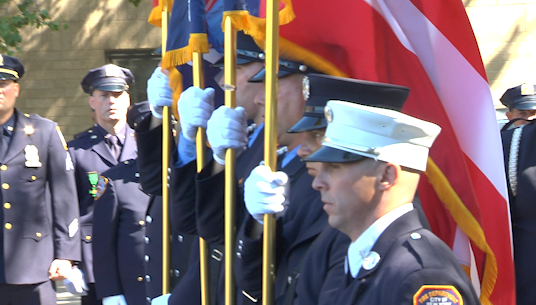 Captain James McCarthy of Ladder 134 was also present for the Mass. 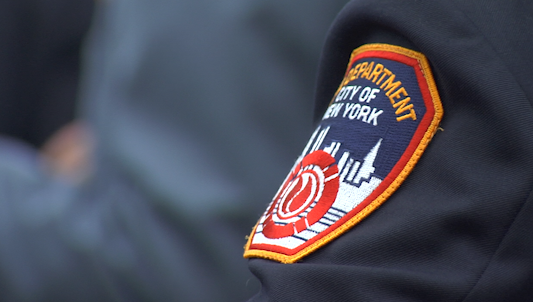 “Forty years ago, a horrific fire took six members of the FDNY. Every year we get together to remember them and remember their impact on our lives. 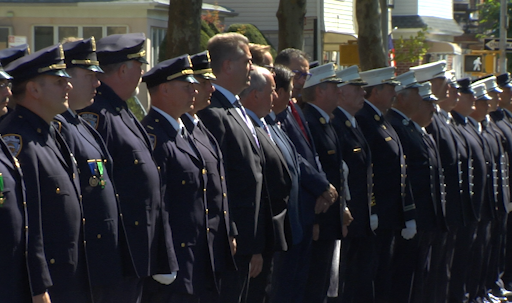 The Fire Department carries on a great tradition and we always honor those that died in the line of duty. 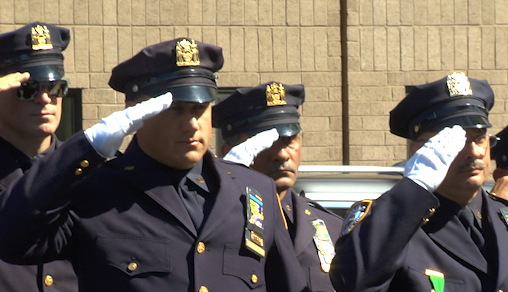 “Everybody that raises their hand and takes the oath puts their life on the line and they understand that but they do it anyway to protect this great city. 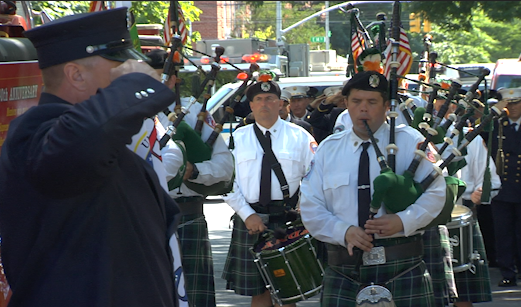 We will always remember their bravery and sacrifice,” McCarthy said. Auxiliary Bishop James Massa was the main celebrant of the Mass. “We remember the heroes we lost that day. 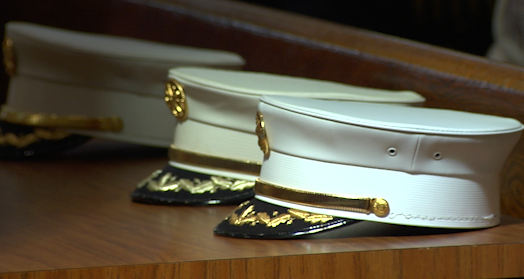 Their families still gather all these years later and that shows the impact these men had,” the bishop said.